It is a question fans of his books have been asking for decades; how much of James Bond was modeled on his author Ian Fleming? Any literary character will, unavoidably, contain certain traits of their writer’s personality. It could be in relatively minor attributes such as their manner of speaking or personal tastes, through to the sort of mirror-like portrait that borders on the semi-autobiographical. As for Fleming and his legendary creation, they shared various aspects of each others personalities; from their mutual loathing of tea and the number of cigarettes they smoked a day, as well as their choice in clothes and, crucially, their preference in wristwatches. 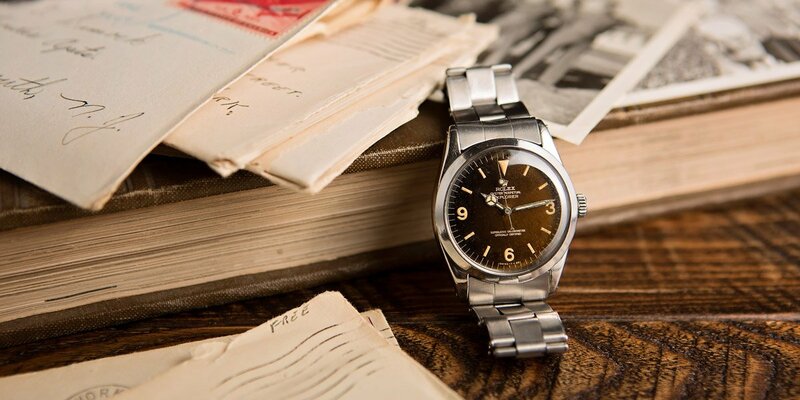 The Rolex Explorer ref 1016 is the watch of choice by the creater of James Bond! Fleming himself wore a number of different watches throughout his life, but the piece he is most associated with, and the only one that survives him to this day, is his Oyster Perpetual Explorer ref. 1016. For the ex-Naval Intelligence officer, it was a fitting match. Perhaps the brand’s most unassuming model, the Explorer has forever been the Rolex bought by people with a job to do; those who need to be able to place their trust in a tool that keeps going regardless of how harshly it’s treated. The stark simplicity of the ref. 1016, with its beautifully readable 3/6/9 Arabic numeral dial and lack of even a date function, has the perfect level of inconspicuous elegance. It’s the watch that can be worn at the high-roller’s table in a Monte Carlo casino or in a hand-to-hand fight to the death aboard a night train through Russia. 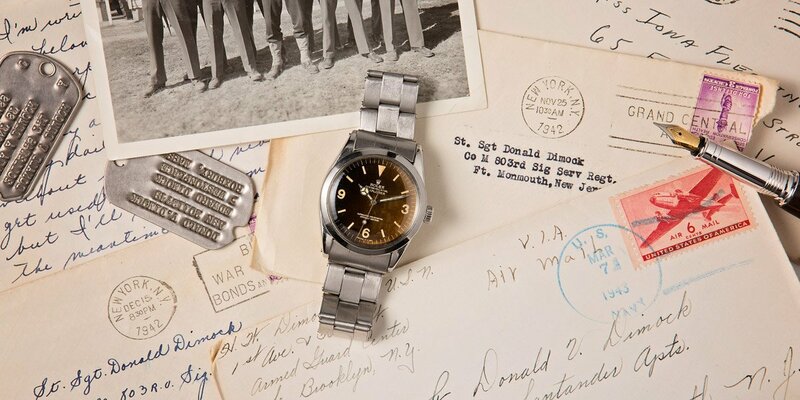 Fleming received his Explorer in the early 60s, a time when Rolex’s reputation was one of a company building tough watches for uncompromising professionals. Nuclear scientists had the Milgauss, airline pilots had the GMT-Master and the Submariner was the only choice for divers, either recreational or military. The Explorer was ostensibly aimed at mountaineers, having been born on the summit of Everest when its forerunner had accompanied Hillary and Tensing on their maiden ascent. Customers were even given the option to have the watch supplied with a high performance oil that could withstand temperature variations of between -20 and +40°C. By the time the ref. 1016 emerged in 1963, it represented the model’s third iteration, one that went relatively unchanged for another 26 years. 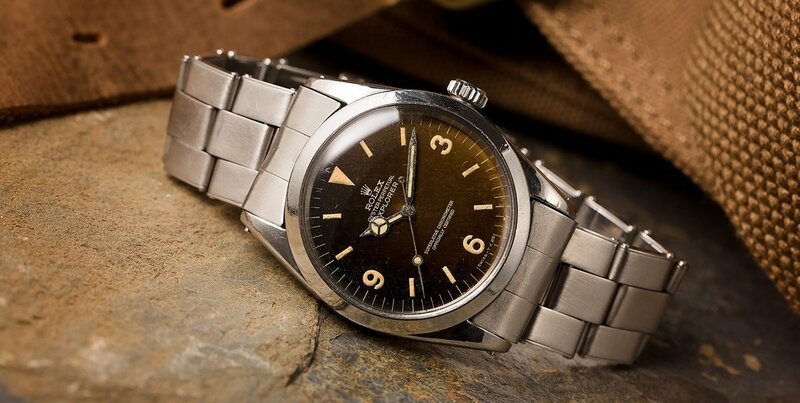 The Rolex Explorer ref 1016 is a highly durable watch. The literary Bond character was particularly nonchalant about his watches, and his gadgets in general. Fleming makes only fleeting mention of Rolex in his novels—in On Her Majesty’s Secret Service for example, Bond takes an inventory of the weapons available to him, including “a heavy Rolex Oyster Perpetual on an expanding metal bracelet”, which he uses as an effective knuckleduster. A watch, to Bond and Fleming both, was just a piece of equipment and little more. It wasn’t until he made the transition to the silver screen that the association between the brand and the superspy was sealed. The most commonly accepted ‘Bond watch’ first appeared in his debut cinema outing Dr. No. Famously, although the Big Crown Submariner ref. 6538 featured prominently, Rolex refused to donate any of their watches to the production, and the movie’s budget was so tight the filmmakers were unable to buy one outright. The example you see Sean Connery wearing in Dr. No belongs to the legendary producer Albert ‘Cubby’ Broccoli, who took it off his own wrist and threw it to the actor moments before shooting started. Following the incredible success of the franchise, Rolex became far more amenable to having their products displayed and Connery, along with several other of the secret agent’s incarnations, went on to wear a varied selection from the catalog. Thought the author, Ian Flemming, wore the Rolex Explorer ref 1016, Bond himself wore another watch. Sometimes seen as the un-Rolex, the Explorer series has always lingered in the shadows, somewhat lost in the dazzling glare cast by the Submariners, Daytonas and GMT-Masters of the world. The ref. 1016 has one of the longest uninterrupted lifespans of any reference, and is one that has gone through the least number of upgrades or improvements. Its most significant revision came when the original movement, the Cal 1560, was swapped for the Cal. 1570 in the late 60s, bringing with it a boost in frequency from 18,000bph to 19,800 bph, and introducing the convenience of a hacking feature. Other than that, and a switch from gilt to matte dials, a ref. 1016 made at the start of its run in 1963 was practically identical to one made at the end in 1989. While all around it Rolex’s sports range underwent nips and tucks, started dressing in fancy gold and platinum suits, and were even festooned in precious jewels on every surface, the Explorer just soldiered on unadorned, upholding the brand’s tool-like origins pretty much single-handed. 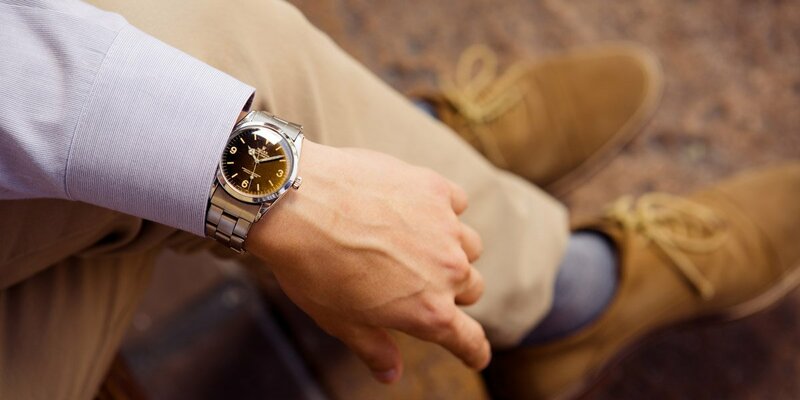 The Rolex Explorer ref 1016 is a highly durable watch and a great investment. As a watch suited to the clandestine world of espionage then, the Explorer seems to have it all. It is discreet enough to fly under the radar while never looking out of place whether paired with a tuxedo or a wetsuit, and it is robust enough to survive just about anything. To illustrate, Ian Fleming’s personal ref. 1016 was hidden away for safekeeping in a bank vault following his death in 1964. There it stayed, untouched, until Fleming’s widow died in 1981 and the watch was retrieved by the couple’s stepdaughter, Fionn Morgan. Upon picking it up, the Perpetual watch started ticking—after 17 years in the dark. However much of himself Fleming wrote into the James Bond psyche, or how many of his wartime exploits went on to inspire his fictional character’s adventures, we’ll never know. But one thing the author and his creation definitely share is an impeccable taste in watches.